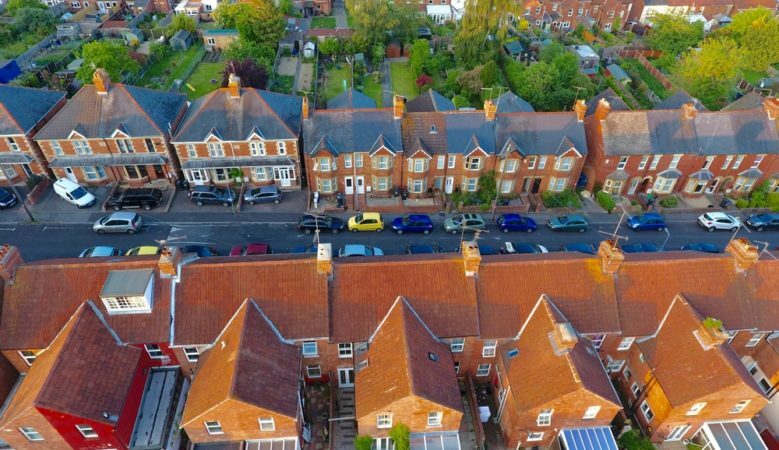 House prices an hour’s commute from London are substantially lower, allowing buyers to save on average 60% or £480,000 on the price of a property, new research has found. Living 40 minutes from London also benefits buyers with homes on average some 47% or $372,255 lower and even just 20 minutes away there are considerable savings with homes 38% or £299,328 lower. But living outside of other city centres in the UK does not deliver this kind of saving and those working in Birmingham and Manchester actually pay more for a property outside of the cities, according to the research from Lloyds Bank. House prices in a selection of towns about an hour’s train journey away from London such as Crawley, Windsor, Rochester, Peterborough and Oxford are on average around £316,000, much lower than the average of £797,158 for a property within London Travelcard zones 1 and 2 and also £199,778lower than the average property price in zones 3 to 6. The research points out that the difference between house prices for commuters travelling approximately 60 minutes into London would pay for the current annual rail cost of £5,169 for 93 years. Those looking to buy a home in a town approximately 40 minutes away from central London such as in Hatfield, Billericay, Orpington and Reading, will pay an average price of £424,903 some £372,255 lower than in zones 1 and 2 and with a lower average annual rail pass costing £3,615.The difference of £372,255 would pay for the current annual rail cost for nearly 103 years. Even at up to 20 minutes distance away from the heart of the capital, commuters from towns such as Ilford and Elstree benefit from an average house price that is £299,328 lower than in central London. This is enough to pay the current annual rail cost of £2,481 for 120 years. However, some commuter locations, such as Beaconsfield, command a higher price tag than central London. The average price of £1,054,215in Beaconsfield is higher than the £797,158 for those living in central London, a difference of £257,057. Gerrards Cross at £903,142, Ascot at £824,421 and Weybridge at £822,672 are also more expensive. The research also shows that the most affordable commuter town is Wellingborough in Northamptonshire where the average house price is £197,743, followed by Kettering, also in Northamptonshire, with an average house price of £206,873 then Peterborough in Cambridgeshire at £207,458. For commuters to Britain’s second and third largest cities, Birmingham and Manchester, house prices are often higher outside the city. The average house price in Birmingham is around £181,758, but several towns around 40 minutes away by train such as Derby, Coventry, Burton on Trent and Leamington Spa, command higher average house prices of £225,353. Commuters from these towns also have to pay £2,261, on average, for a current annual rail pass. The same applies to a number of towns that are approximately 40 minutes away from Manchester, such as Warrington, Chorley, and Macclesfield, which all have a higher house price of £216,236 compared with £174,972 in Manchester. ‘Considering how far away any potential new home is to your work is often a key factor when buying a new home. Whilst it’s not surprising that homes outside of central London are typically cheaper, the difference is significant,’ said Andrew Mason, mortgage product director at Lloyds Bank. ‘Commuting to London is a smart move for those wishing to benefit from the higher wages on offer whilst buying a cheaper and typically larger home. What’s interesting is that the exact opposite can be said for the UK’s other two largest cities, Birmingham and Manchester, where it costs more to live outside of the city and make the commute,’ he added.